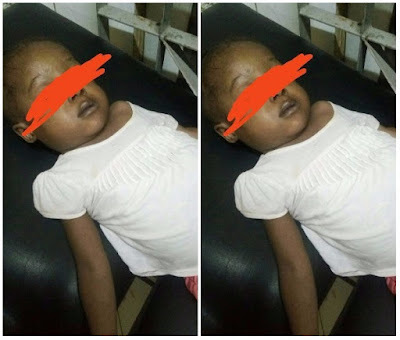 A Nigerian Instagram user who saw a little girl die in her father’s arms after they were rejected and transferred all around Lagos hospitals has vented his frustration online. 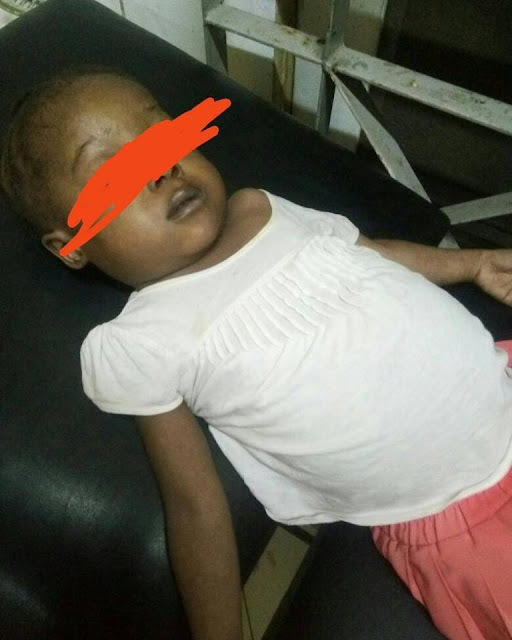 The little baby had an ear infection since last week Tuesday but couldn’t get treatment. 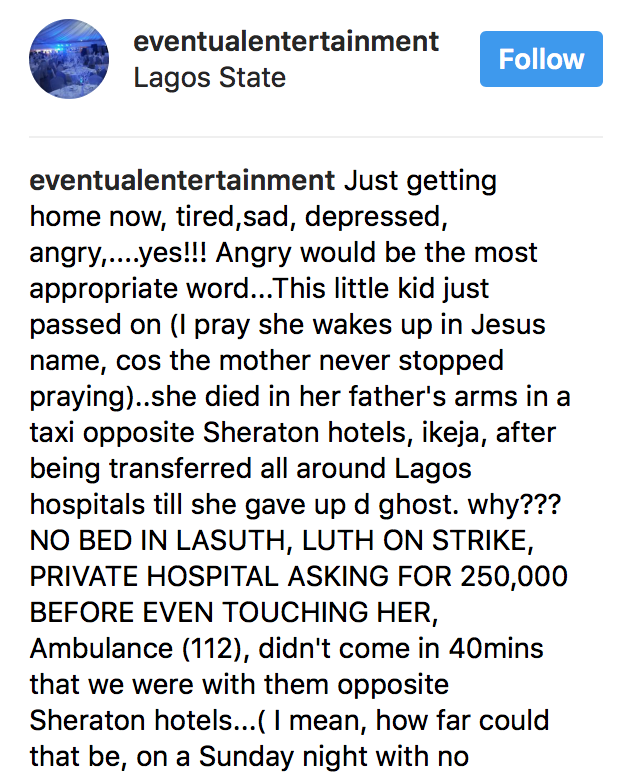 Among the excuses reportedly given by 3 Lagos hospitals on why they couldn’t treat her included no bed, health workers’ strike and demand of N250,000 by a private hospital before even touching the baby girl. Her heartbroken parents have been inconsolable. Just getting home now, tired,sad, depressed, angry,….yes!!! 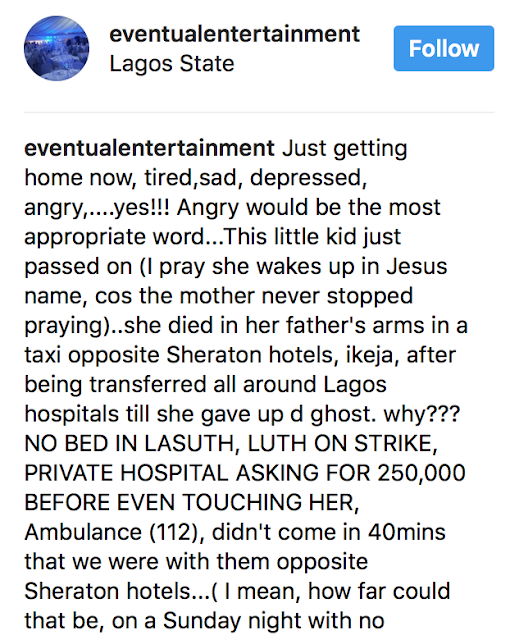 Angry would be the most appropriate word…This little kid just passed on (I pray she wakes up in Jesus name, cos the mother never stopped praying)..she died in her father’s arms in a taxi opposite Sheraton hotels, ikeja, after being transferred all around Lagos hospitals till she gave up d ghost. This little child died because of a failed health system. There was no defibrillator in the whole of the childrens Ward…not one ( I was there myself, I asked for it with other good Samaritan that followed us to LASUTH with the nice police officer that went with us) the only question I could ask is WHY?? WHY?? WHY?? 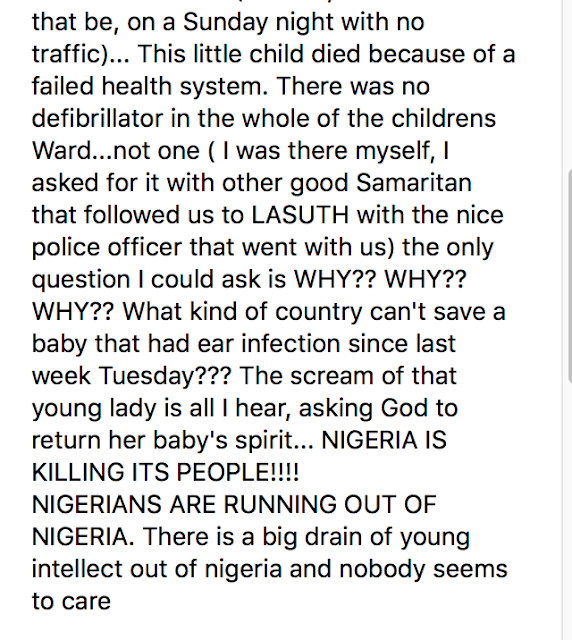 NIGERIA IS KILLING ITS PEOPLE!!!! NIGERIANS ARE RUNNING OUT OF NIGERIA. There is a big drain of young intellect out of Nigeria and nobody seems to care.